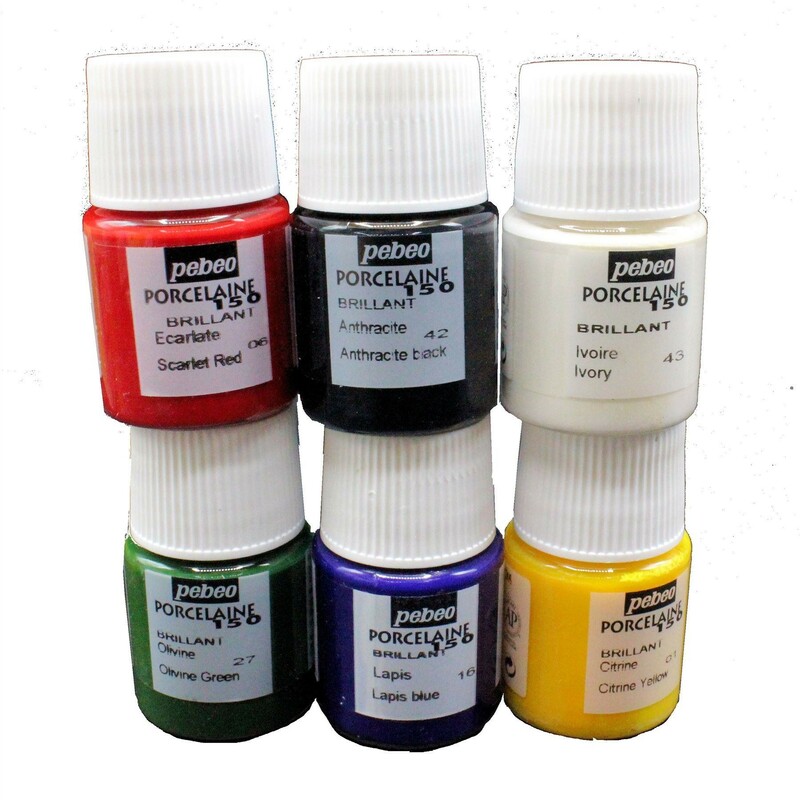 Water-based colours, deep and glossy, transparent or opaque, with a superb enamelled apperance after baking. The colours are ready to use, just stir with a mixing stick before using. For dishwasher safe: air dry for a minimum of 24 hours then bake at 150°c (300°F), in a domestic oven (at a stable temperature). 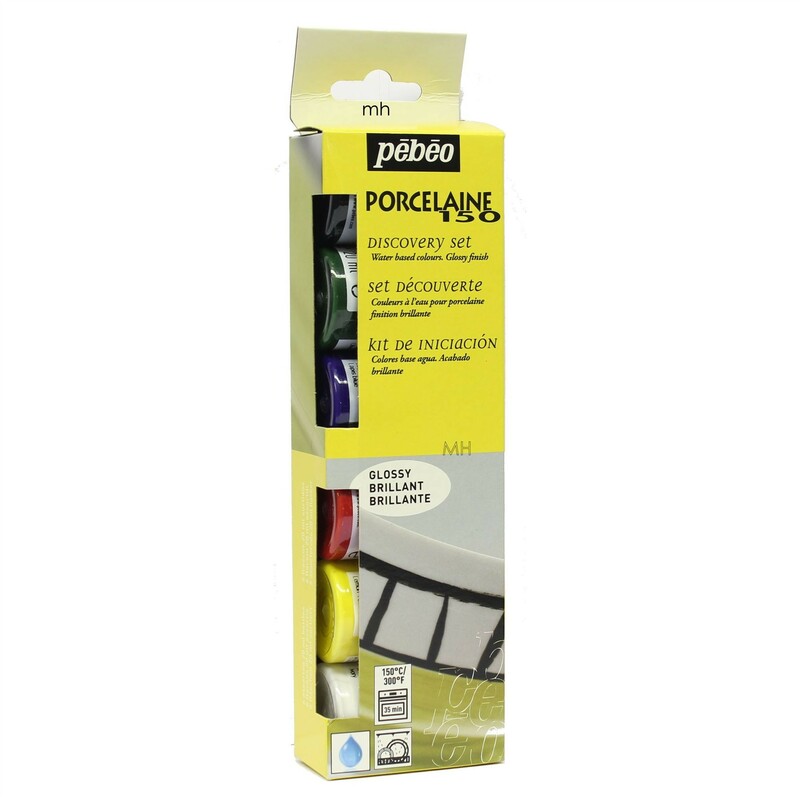 To thin use porcelaine 150 thinner. After baking, resistant to dishwashing, alcohols, solvents and to normal detergents. For a better resistance/durability, use the dishwasher eco programme and ideally place in a top rack. 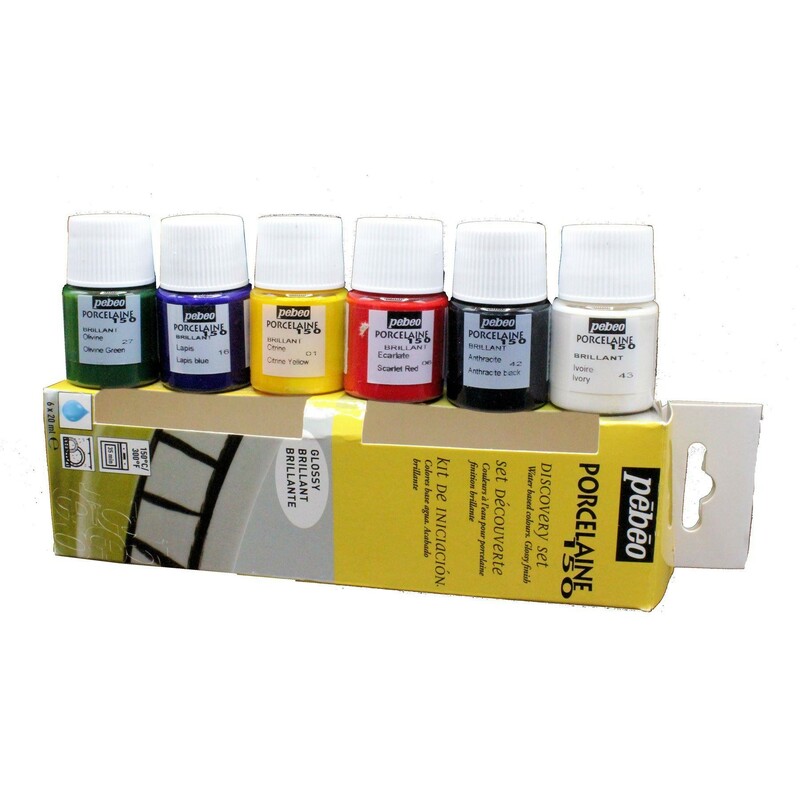 Markers are recommended for fine lines, strokes and writing. 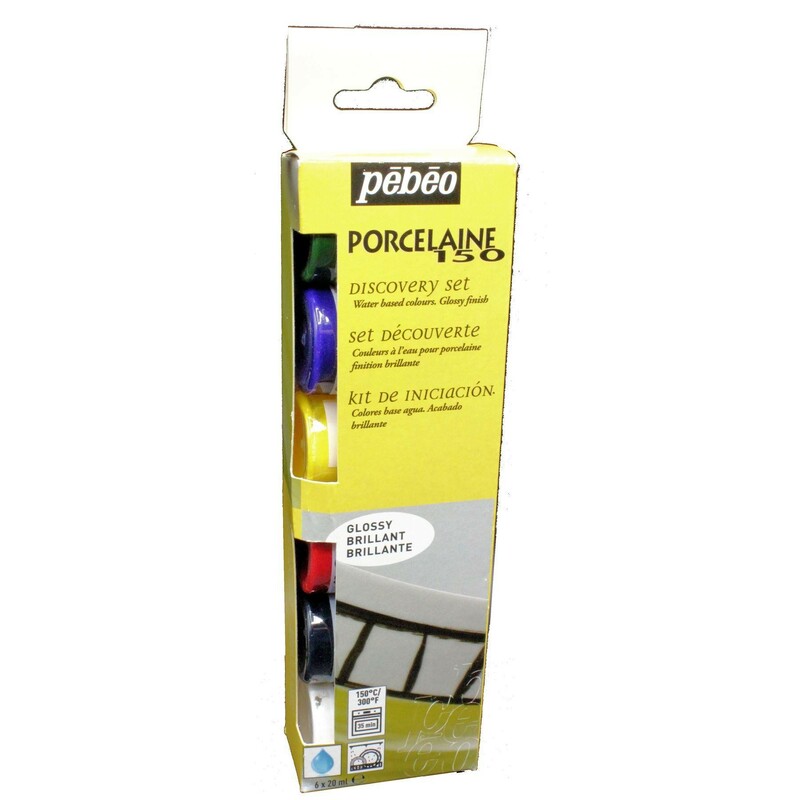 6x20ml bottles Pebeo Porcelaine 150 Discovery set. Colours: Ivory, Anthracite Black, Scarlet Red, Citrine Yellow, Lapis Blue, Olive Green.